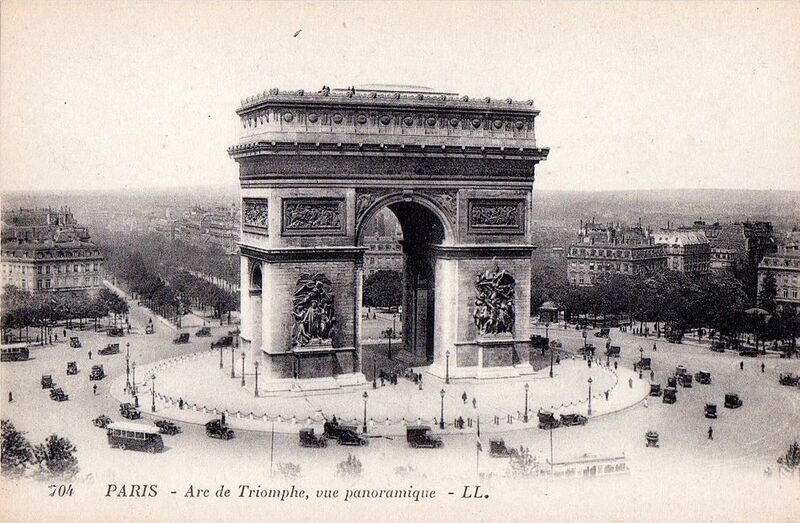 The design of the Arc de Triomphe was inspired by Rome’s Arch of Titus. It was commissioned in 1806 by Emperor Napoleon, then at the peak of his powers, and was designed by Jean Chalgrin. 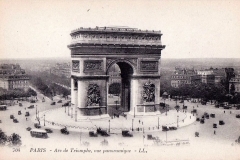 Interest in actually completing the Arc waxed and waned and it was not finished until 1836 during the reign of King Louis-Phillipe. 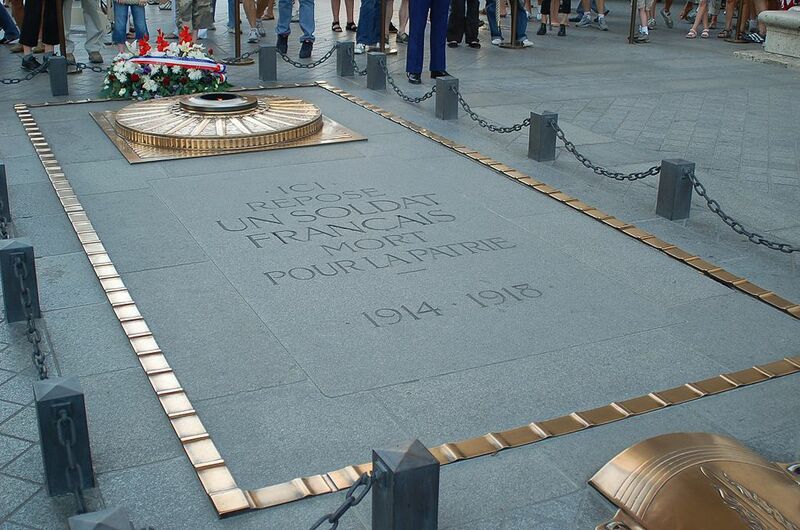 Napoleon did not to live to see his monument completed but his remains passed under its arch on the way to his final resting place, the magnificent tomb at the Invalides. 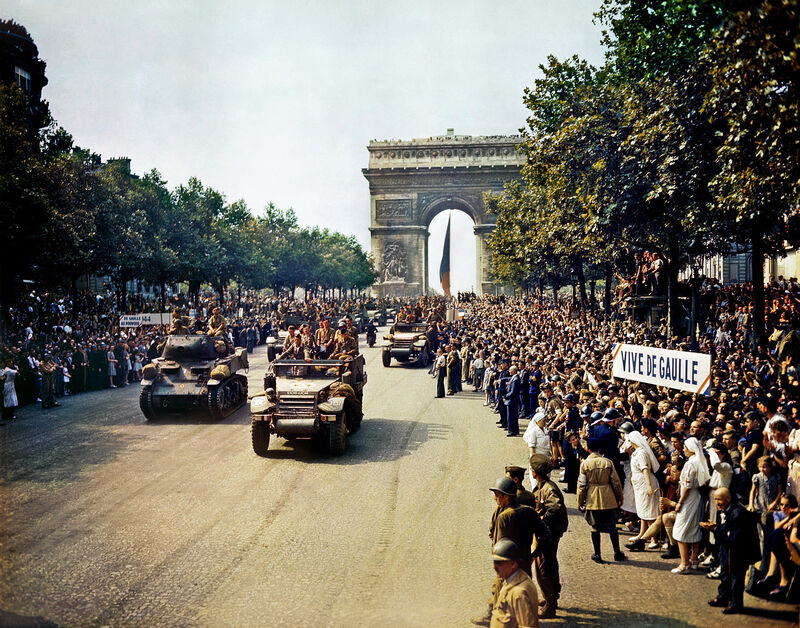 Following its construction, the Arc de Triomphe became the focal point of French troop parades after successful military campaigns and for the annual Bastille Day Military Parade. 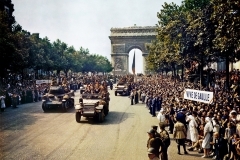 Famous victory marches around the Arc have included the Hitler and the Nazis in 1940, and the French and Allies in 1944 and 1945. The Arc is open to the public. You’ll need to undergo security screening, then climb a spiral staircase 50 meters to the top. In a chamber just below the roof of the Arc there’s a small museum with an interesting array of exhibits worth exploring, many of which focus on the arch’s design and construction. When you’ve made it to the top, you’ll be treated to some of the finest views of Paris, which you can see from all sides of the structure. 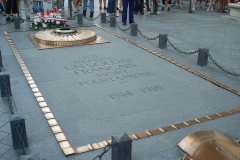 Many of Paris’ classic landmarks are visible from the top of the Arc, including magnificent Sacre-Couer Basilica, Invalides, and of course the Eiffel Tower. Many tourists just seemed to run to the top, snap a few photos, then head right back down. I’d recommend lingering a little. We visited on a cloudy though mostly sunny day and the changing light on the city was enchanting. It’s also a good place to people watch.